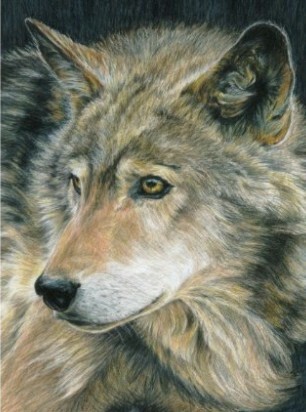 The Curious Eyes Wolf Color Pencil by Number kit contains everything you need to complete this gorgeous Wolf picture. Kit includes 10 numbered color pencils, 1 preprinted board, 1 numbered transparency overlay and 1 sharpener. This set is recommended for ages 8 and up. Makes a great Wolf gift.